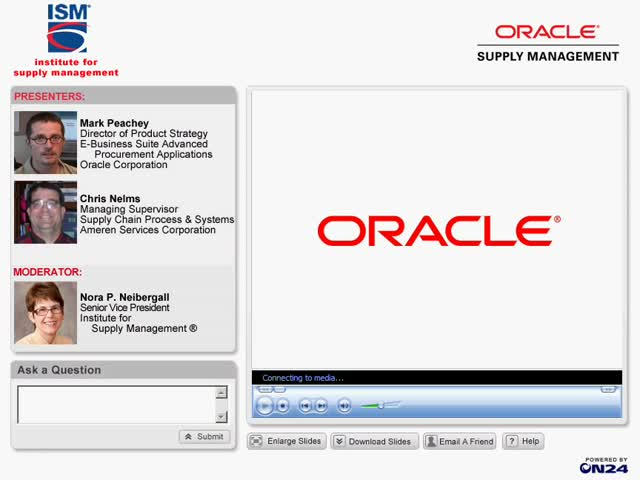 Don't miss this on demand webinar hosted by ISM and sponsored by Oracle. There is little disagreement that supplier management should be a core component of supply management. And most agree that a strong supplier base is critical to any organization’s success. But most organizations lack well-established supplier management programs with multi-year planning horizons and clear obj! ectives. This program provides clear, practical advice on how to launch and sustain best-in-class supplier management.